A web-based resource for emergency responders and receivers who may encounter patients with illnesses or injuries caused by ionizing radiation. In 2018, REAC/TS conducted courses in its own backyard and traveled internationally to present education tailored to meet diverse needs of a wide range of emergency and health professionals. The Radiation Emergency Assistance Center/Training Site (REAC/TS) is a world-renowned, U.S. Department of Energy (DOE) asset and a leader in emergency medical response to radiological/nuclear incidents, providing emergency response, advice and consultation for the National Nuclear Security Administration’s (NNSA) Office of Counterterrorism and Counterproliferation. REAC/TS is located at the Oak Ridge Institute for Science and Education in Tennessee and is operated for DOE by ORAU. Subject matter experts at REAC/TS are on-call and ready to deploy (as well as available for phone advice and consultation) 24 hours a day, seven days a week in support of DOE/NNSA and may provide direct support to the DOE/NNSA Federal Radiological Monitoring and Assessment Center. REAC/TS supports the international community as a Pan American Health Organization (PAHO)/World Health Organization (WHO) Collaborating Center for radiation emergency management and participates in WHO Radiation Emergency Medical Preparedness and Assistance Network (REMPAN). REAC/TS is also an active member of the International Atomic Energy Agency (IAEA) Radiation Assistance Network (RANET). REAC/TS has provided continuing medical education and accident response in over 40 countries. REAC/TS offers continuing medical education credits for physicians through the Accreditation Council on Continuing Medical Education (ACCME), American Medical Association (AMA) Physicians Recognition Award (PRA) Category 1 Continuing Medical Education and American College of Emergency Physicians (ACEP). Medical personnel, emergency planners, public health professionals and others learn about the medical management of radiological/nuclear incidents, as well as decontamination techniques, through instructional and hands-on education. 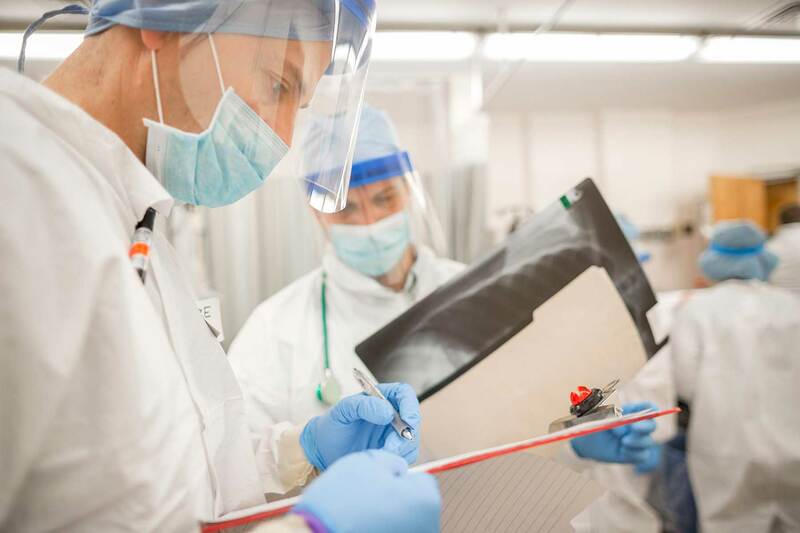 An additional course accredited by the American Academy of Health Physics (AAHP) is available for health physicists, medical physicists, radiation safety officers and nuclear medicine personnel to learn about medical management of radiologically exposed or contaminated patients.